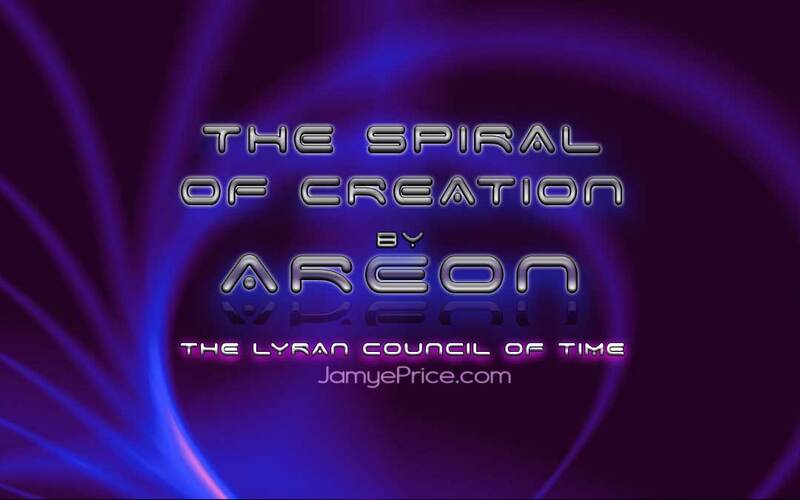 The spiral is the core of all structures that you observe and create. It is the core of physical structure and the core of subtle structure. The spiral form is shaped like an hourglass that starts wide at top, gets tighter in the middle and wider again at the bottom. The spiral shape is the same as the infinity symbol. The infinity symbol represents the spiral in two dimensions. The continual movement of life. From your center, action becomes clear. It is the equivalent of the spiral flowing so tightly in the middle that both sides (above and below) are touched. There is a clarity within this connection and direction becomes clearer. Until then, you must go with the flow of the spiral—observing, healing, choosing anew. You will know when and how action is appropriate, even if you don’t have all the details. You will have a compelling from the vast aspect of you. There will be a smoother flow with your action. Allow yourself more peace to discover appropriate action. Allow yourself more peace to move through all aspects of creation, even the ones that aren’t as easy or satisfying. Relaxing is a spectrum of participation that may be fast-paced or slow, it may be intense or easy, it may be frustrating or funny. But underneath all of that experience is an openness to your inherent capability. Things seem to speed up when action is calling you. Things seem to slow down when patience and integration is needed. This is the spiral flowing. Allow and enjoy both, and you are relaxing into the natural flow. You have a choice of how to flow that energy. Life surrenders to you. You are that powerful. Do not fear your choices because you have an invisible aspect of yourself that is infinite, connected to all of Life and knows how to communicate with you. It has been doing this your entire Life. It (your Higher Self) understands clearly the best path for the future you are wanting to create. You can resist it; however, it is difficult to do so. Soothe yourself into a clarity of connection that will provide the appropriate path for the future you are creating. 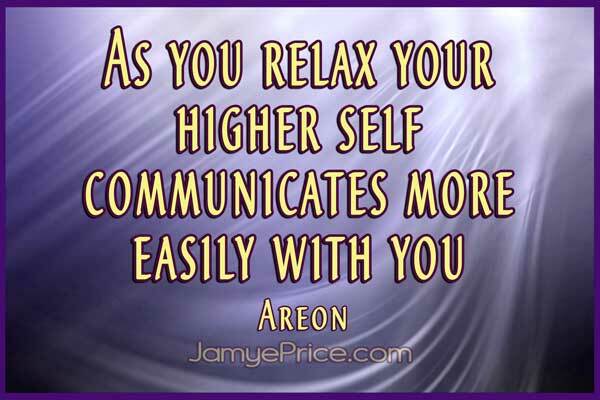 As you relax, the Higher Self can communicate more easily with the physical self. As you relax you are allowing an opening of your energy field that creates a resonance of peace and neutrality. This opening creates a connection with the new. Your own neutrality is a powerful ally in creating clarity and strength that serves your future. You are creating a future that is resonant with peace. You are creating a future that is resonant with your joy and desires. Go with the flow of what you are experiencing. When it gets intense, nurture yourself to go inward more. This is what the intensification of the spiral calls you toward. Inward can sometimes mean connecting in the moment and sometimes connecting in the past or future to heal your thoughts and emotions. Connect in a way that benefits your strength in the moment. This connects you with your loving power, which is what changes the future. Your peace in the present moment is the most powerful transformer of your Life. It has a resonance that creates the new. Action that stems from your peace will direct you to interact or direct you inward as appropriate. To do this, begin with observing the present moment. Connect with the potentials that are being created. Here you begin to layer your multidimensional, infinite nature into your present moment. When you are more consciously connected to your Higher Self, you are able to connect beyond linear time. It is as simple as observing potentials. Empowered beings are connected to the present moment and strong enough to see beyond it to build the future. It can give you more clarity, strength and a clearer desire of what you would like to create. It can give you replenishment because it is a time for patience, not action, while form builds (even if just in the subtle realm). It can give you new inspiration or support. There is a benevolent reason why flow is not occurring easily at the moment. Take the benefit. Shift your resonance by shifting your subtle bridge—your thoughts and emotions. This small shift in your focus begins to align you with a new potential. You are in a time of intensification that is seemingly moving so fast. This timespace is like the point in the spiral that is tightening and tightening as it meets in the middle of the hourglass. It feels like you are being pulled to the middle and also being pushed outward. If your physical action has no easy flow, focus inward. Relax. It is time for the use of the subtle emotions and thoughts. Allow that natural flow of releasing the physical responsibility. Honor the power of your subtle energy. The impact is much greater than the physical resistance that you may try to create. Use the universal laws of nature as the spin is intensifying, and let go of the physical resistance. Let go of trying so hard. Utilize the power of your subtle energy. Often you have been taught that control is from the outside and that you must respond to that or suffer. This is not the whole truth. Your awareness has power. Your subtle energy has power. Your physicality also has power. When you are grounded in the present moment you are using the full spectrum of your being to transform your Life in many directions. Yet you only need to focus within. The key is having patience for the subtle to build in physical form. Being in the present moment helps you discover the power of your awareness. Have patience to trust yourself and Life. Discover empirically that you create your own reality. Relaxing into Life provides you with the patience to allow the subtle to build. It takes practice because you have been taught to focus physically. Now you are using more of your subtle power. You are creating a powerful experience of Life where the subtle energy within each of you is honored. This powerful time is calling you to focus and choose Love in your Life. Boldly say yes and boldly say no. Choose Love even if it isn’t the easy choice in the moment. You are blessing Life with your focus. Honor that power. Own your power and utilize it. It will become more fun as you use your imagination to build the future that you want to experience. Relaxing is fun. It is more powerful than you have been taught. You have great power. The gift that you give to Life is immense. You have such power that Life shapes to you. Honor the beauty that is within you. Honor the power that flows through you, it is the same power that build worlds. It is in You. Eeshah, Ehmah, Ehtah. It is a great honor to meet in your awareness. Just what I needed to hear today. It supports what I got from my guides this morning. I found you recently, and really resonate with your vibe. Somehow you make Light Language palatable for me — HA! And it’s intriguing. You said something about it being/integrating our multi-dimensional selves (something like that), and I totally resonate with that. I’m becoming more and more consciously aware of “me” existing on multiple dimensions, and it’s a very interesting experience which I’m being guided to embrace and keep surrendering to. Anyway, life has become quite the ride! Thanks for being willing to share your journey. Excellent, Daniel! I’m glad you’re noticing your multidimensional nature! I’m glad you liked the article. Some just prefer not to hear it because of resonance or memories. Keep following your heart as to what works for you! Blessings! Thank you so much for that, Jamye. As always exactly what I need to hear/take in right now. Still going over again and again what I’ve been taking away from our last session. Thank you for sharing that, Suzanna! I’m so glad it resonated! Hi Kellie, I’m sorry you’re having so much challenge. Building boundaries is a necessary step as we help others. That’s good that you are finding family in connection with your friend you’ve been helping. Family grows in many places. Blessings to you as you replenish.